A spiritual and relaxing aromatherapy spa experience to help your mind and body unwind, blended in Sussex. 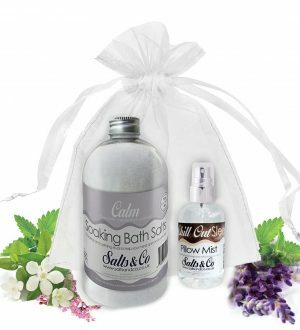 Salts & Co Bath Salts is 100% Pure Epsom Salts, combined with pure essential oils and Egyptian jojoba oil. These ingredients create a mineral rich aromatherapy bath experience. 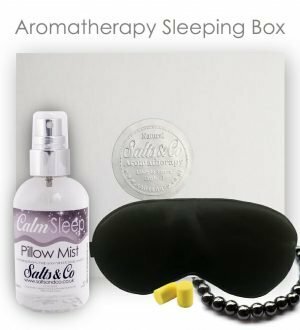 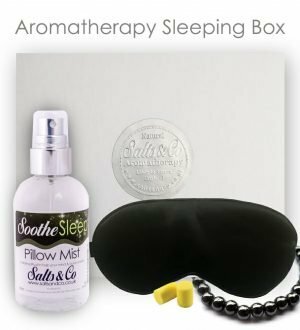 Salts & Co pillow mist has many uses, on your pillow just before bedtime to help you get a relaxing and restful sleep, as a room spray to create a calming atmosphere that promotes relaxation and well-being or in your drawers to refresh your liners.